As a part of the Voltaggio brothers’ new partnership with Something’s in the works with the Voltaggio brothers and Williams-Sonoma, and we’ll get a peak into that as Top Chef Season 6 winner Michael Voltaggio will be hosting a small, private tastingÂ demoÂ at the Williams-Sonoma store in Beverly Hills on Wednesday, September 1st. Be sure to RSVP ASAP, as there are limited spots which will be sure to fill up fast. There will be appetizers and wine for you to enjoy. Additionally, Williams-Sonoma will be offering a rare 10% shopping discount for the event. 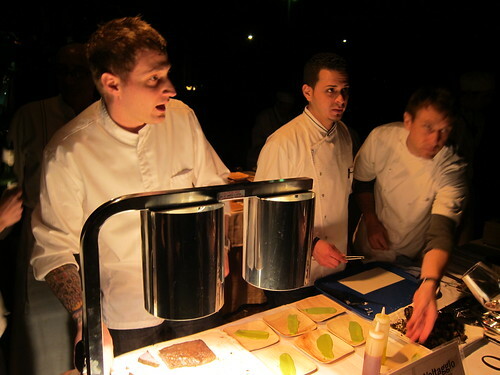 Clarification and update (8/23): This will be not be a sampling of Michael Voltaggio’s signature food; rather he will be performing some cooking demonstrations – such as sous vide-ing meat – that will render some tastes, but passed apps won’t be part of the event.